How to watch Seventh Son (2014) on Netflix Argentina! Yes, Seventh Son is now available on Argentine Netflix. It arrived for online streaming on October 7, 2017. 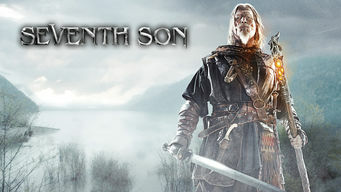 We'll keep checking Netflix Argentina for Seventh Son, and this page will be updated with any changes. In the 18th century, apprentice exorcist Tom Ward is the lynchpin in a battle between good and evil when imprisoned witch Mother Malkin escapes. When good and evil collide, it will take a special warrior to intervene. And he'll need to hone his exorcism skills.